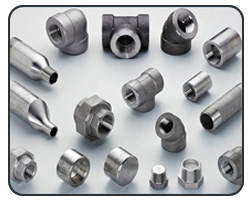 We at Suraj Steelmet form a diligent workforce known as Forged Fittings Exporter. With the consistent efforts we have been giving cut-throat competition to our contemporaries. Forged fittings pay a vital role in the piping industry as they are used to connect nominal bore pipes and pipelines. The raw material quality goes concurrently with the modern technology in our exporting sector. This has lead us exporter best quality and defect free forged fittings. Forged fittings have a diverse application range. They should be able to withstand high pressure and extremely corrosive conditions, this is what we have brought to you. With the extensive support and skilled professionals, we supply highly tensile, strong, stable, corrosion and rust resistant highly efficient products. 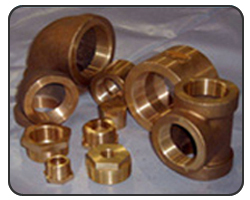 Besides being applauded as high-scale exporter, we are also an acknowledged forged fittings exporter. The quality we offer stands us out from others. The extensively wide range with affordable pricing allows us to satisfy greater sector of our market. The products we supply are dimensionally accurate with fine finished threadings. Stainless & Duplex steel forged fittings have a diverse application range. They should be able to withstand high pressure and extremely corrosive conditions, this is what we have brought to you. The outlet forged fitting components we supply are suitable for a variety of heavy duty applications. They are highly recommended for long-term purposes because of corrosion resistance property. With the immunity towards damage they have impressive outer surface. With the extensive support and skilled professionals, we export highly tensile, strong, stable, corrosion and rust resistant highly efficient carbon and alloy forged fittings. We accomplish a lot of administration of our patrons by our carbon and alloy forged fittings. The optimum grade material make these forged fittings capable of sustaining elevated temperature and pressure. We keep the standards of materials used always high as this can affect the purpose of its industrial usage. Our experience and hold over excellence reflects through our nickel and copper alloy forged fittings export. 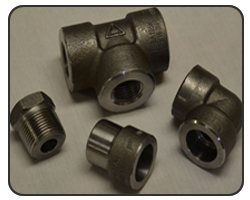 These respective fittings are appreciated for high quality, durability, metallurgical strength and affordable rates. Keeping in mind the current market development, these forged fittings are exported by us. We tend to hold standards high in order to benefit you the most and avoid any failures. We hear your demands and export accordingly. ASTM / ASME SB 564 UNS 2200 ( NICKEL 200 ), UNS 4400 (MONEL 400 ), UNS 8825 INCONEL (825), UNS 6600 (INCONEL 600 ), UNS 6601 ( INCONEL 601 ), UNS 6625 (INCONEL 625), UNS 10276 (HASTELLOY C 276),ASTM / ASME SB 160 UNS 2201 (NICKEL 201 ),ASTM / ASME SB 472 UNS 8020 ( ALLOY 20 / 20 CB 3 ). For the in-depth details feel free to send us an enquiry.